Great book worth the money worth the time. Get this book. Loch Ness holds secrets, ancient and deadly. Does a monster inhabit its depths, or is it just myth? Why, after thousands of reported sightings and dozens of expeditions, is there still no hard evidence? Marine biologist Zachary Wallace knows, but the shock of his near-drowning as a child on Loch Ness have buried all memories of the incident. Now, a near-death experience suffered while on expedition in the Sargasso Sea has caused these long-forgotten memories to resurface. Haunted by vivid night terrors, stricken by a sudden fear of the water, Zach finds he can no longer function as a scientist. Unable to cope, his career all but over, he stumbles down a path of self-destruction...until he receives contact from his estranged father, a man he has not seen since his parents divorced and he left Scotland as a boy. Angus Wallace, a wily Highlander who never worked an honest day in his life, is on trial for murdering his business partner. Only Zachary can prove his innocence, if he is innocent, but to do so means confronting the nightmare that nearly killed him 17 years earlier. Incorporating the latest research and "new evidence", that leads to real answers concerning the monster's identity, best-selling author Steve Alten weaves a tale of horror about the most publicized and controversial creature ever to exist. This is a wonderful blend of fact and fiction. Quick to lure me in and held my attention the whole way. The story beautifully incorporates a concise history of Scotland and geology and biology facts. Overall it was as educational as entertaining. It was also well narrated, and was easy for me to discern which character was speaking due in part to the well performed accents. One hour into this book is one of the scariest scenes I have ever read. 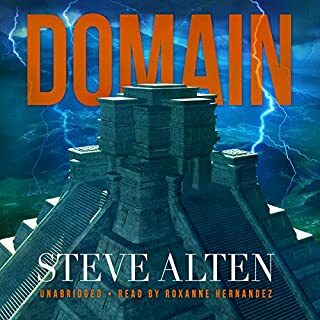 Alten is a sort of fringe science writer. I happen to be someone who enjoys that sort of escapism. Most of his books involve a lot of research. I like hearing all the science and some of the history, but I think he went to long on the Scottish History this time. I don't want a chronological list of all the kings of England and/or Scotland. I loved all the talk of Evolution and Mutations. I did not care for the Black Knights of the Templar part of the story. The story would have been better, had he had not insisted on making them part of the conspiracy part of the book. I liked Zachary, the main character. He showed humility and I could not help having empathy for him. I did feel it unbelievable that a young man, would prefer a young woman think him impotent instead of admitting he was scared of water. The love story was awful. Brandi is the girl he loves. She dumps him and sleeps with another man, who happens to be a jerk. She does it for money, but she is not a whore? A couple of hours after the jerk drowns, she is back in bed with Zachary and totally in love. I was entertained about 90% of the time and I did learn a lot, even about migraines, which I did not realize I cared about. I also learned about the Sargasso Sea. I had heard about it, but always figured it was around the Indian Ocean. Wrong, it is in the Atlantic. I like Alten's writing. He writes about fringe science, while giving you real science. His book Meg is really good, as well as The Omega Project. This book is not as good as those two, but it is still entertaining. I will be getting the sequel. This guy does a great job. In parts his narration is more acting, than narrating. I think that adds to the atmosphere of the book. I probably should have researched the author's niche first. Appears to be with 10 - 12 year old boys, based on this book. Plot turns are predictable. There are only two memorable female characters. Both are curvaceous. One is the monster. The lead character is relentlessly miserable. Having been on Loch Ness, the descriptions are OK at best. Not evocative of the country or history for me - tries to be - but lumbers through it. Will research books about Scotland for other choices. 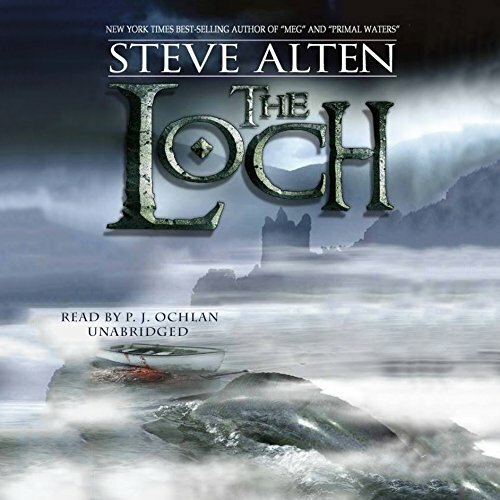 Where does The Loch rank among all the audiobooks you’ve listened to so far? I believe that The Loch may have just moved to the top of my list. P.J. Ochlan did a wonderful job with all the character voices and really made me feel that I was listening to the characters. Was very happy to see the P.J. also performed the next book, Vostok as well. 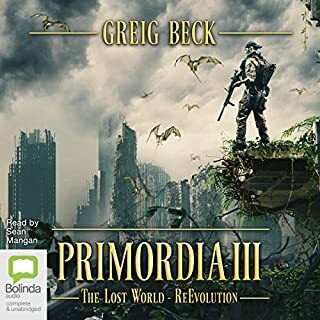 This was my first book with PJ but I am now on Vostok and very happy to hear his narration once again. I love the continuity. The whole store is great, not much more I can say. 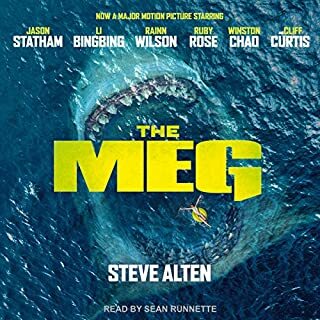 I loved the Meg series and really love this one. I hope to listen to more of the great tales. These characters are great and loved the crossover that is happening in Vostok and Meg 5. 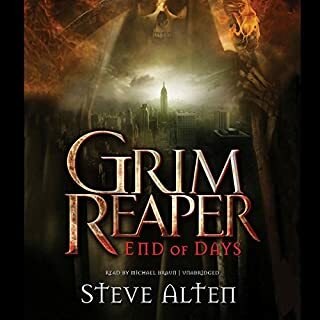 Steve Alten is a wonderful story teller. Keep up the great work! The education you learn on Scotland is quite amazing as well. At first I was like what is this all about, but as the story went on, I found myself looking forward to those parts quite a bit. Would you listen to The Loch again? Why? If you could take any character from The Loch out to dinner, who would it be and why? Angus. He seems to have a lot to say. Would you consider the audio edition of The Loch to be better than the print version? Yes, I enjoyed the fluid changes in the narrators voice and accent throughout the book. His ability to jostle his voice and personality making the characters come alive. If you could rename The Loch, what would you call it? The book was amazing. 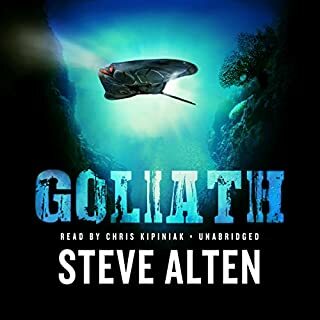 I purchased the book on a whim needing something to read but really enjoying the Meg Series from Mr. Alten. I am glad I took the chance. awsome narrator. Nailed the accents. The author came presented a plausible theory. Likeable main characters. I highly recomend this book. I tried, I really did...but I just couldn't get through it. It is poorly written and the performance is one-note. I also have a really hard time listening to American voice-over actors butchering British & Scottish accents. As my headline says it’s a pretty good story but I was frustrated by the seemingly endless lectures on history and biology contained within the story. Scottish accents were mostly quite poor. People with Scottish accents using America pronunciation . i really enjoyed the story packed with mystery and suspense. the accents were convincing and the characters in depth. 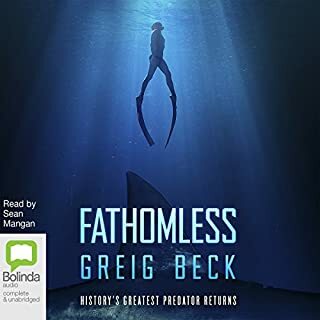 i came here after listening to the meg series and was not disappointed, great book, great author and a great recording. Like the first Meg books this carries just enough (almost) credible science to back what is an enthralling story. The characters have depth and there is enough mystery to keep you hooked. Great story, great narration with a beautiful Scottish accent. I will look for more from both author and narrator. Would you try another book written by Steve Alten or narrated by P. J. Ochlan? Absolutely not, this story is badly written, unbelievable (apart from the obvious aquatic monster element) and irritating. The characters are two-dimensional, unlikely and impossible to relate to. The female characters are portrayed as shallow and stupid, and the principal character (and no doubt the author) is a misogynist. Much of the detail relating to Scotland is inaccurate. Added to this the book is lacking in pace and altogether boring. Has The Loch put you off other books in this genre? I like the genre, but this book isn't a good example of it. The 'Scottish' accents are duff and distinctly Russian sounding. I assume the end of it, but I didn't get that far. great story with plenty of depth and intrigue. A great creature feature story without overdoing the creature. Keeps you interested and entertained while adding more depth and detail than you might expect. Great story, loved all the twists and turns. The narrator did a great job with a range of accents. The story was also very suspensive and scary at times. Also loved the atmospheric descriptions of Loch Ness. Only drawback was it made me miss being in the Highlands. Narration was very good and the description of Drumnadrochit and surrounds was spot on.